As part of its ongoing vehicle evaluation programme Borders Buses has introduced the UKs first hybrid coach to its network. Borders Buses has introduced the UK’s first hybrid coach to its fleet as part of an ongoing evaluation programme. The Irizar i4H is the first coach in the country to have class-two hybrid technology for short to medium-distance trips. The vehicle is designed to reduce fuel consumption by more than 20%, resulting in reductions in greenhouse gas emissions and improvements in local air quality. Operating by using a combination of traditional diesel technology and in some parts electric, the vehicle is one of several demonstrator vehicles currently being tested across the Borders Buses network. 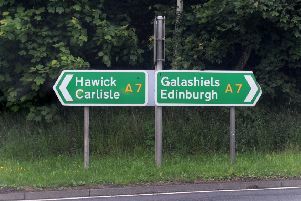 It is on trial for four weeks and will initially operate on the Edinburgh-to-Galashiels section of the X95 Edinburgh-Carlisle route. Sharon Morrison, commercial manager at the firm, part of West Coast Motors, said: “Testing a range of vehicles whilst speaking with our drivers, engineers and customers is a great way to ensure we remain focused on delivering a modern, reliable and greener bus service. “In addition to the types of vehicles, it is important we remain engaged with customers to ensure our buses and coaches are specified with facilities which make bus travel simpler and more enjoyable. “To date, ease of access, wifi, comfortable seating and USB charging stations are top of our customers’ list. Since taking over from First Borders in March 2017, Borders Buses has invested more than £4m in new vehicles, GPS ticketing machines and, most recently, a mobile app allowing users to plan trips, track journeys via a live tracking system and buy tickets. Passengers wanting to provide feedback on the new Nottinghamshire-built coach can do so by sending an email to info@bordersbuses.co.uk or calling it on 01896 754350.